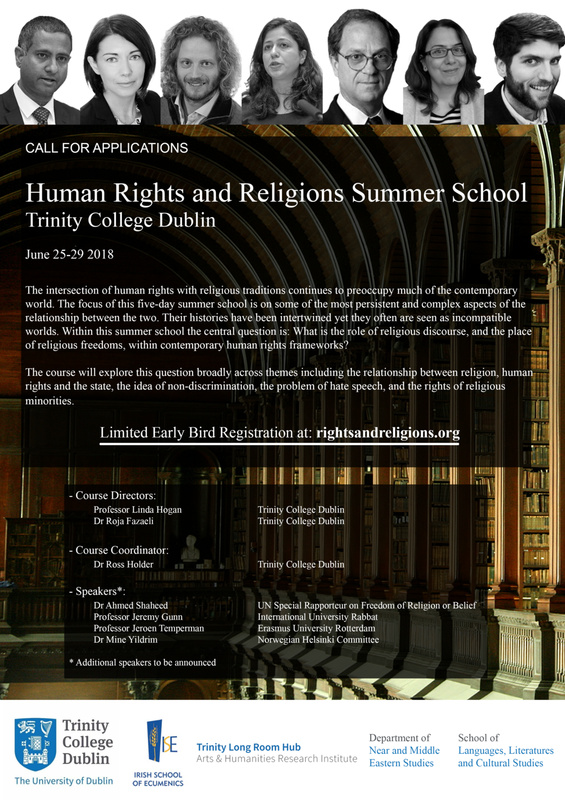 Registration for the 2018 Human Rights and Religions Summer School is now open! Delighted to announce that the 2018 Human Rights and Religions Summer School will take place on June 25-29th 2018. With many more to be announced over the coming weeks. Limited Early Bird rates will be available, register your interest now to avoid disappointment!